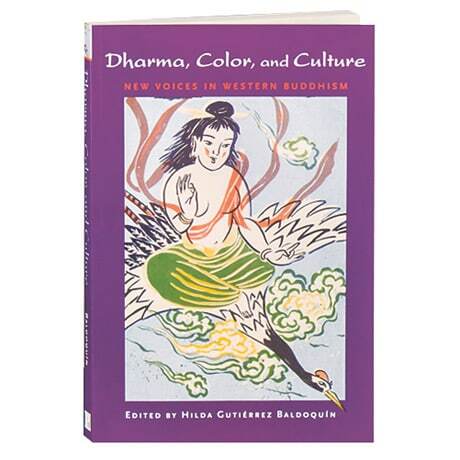 With an emphasis on writers of color from the Western hemisphere, this anthology features 26 essays that show the full spectrum of Buddhist beliefs. Grappling with the pain caused by discrimination and how to overcome it and achieve liberation through spiritual practices, Zen teacher Hilda Gutiérrez Baldoquín's selections here include Thich Nhat Hanh's "The Nobility of Suffering," Maxine Hong Kingston's "Fire," Reverend Merle Kodo Boyd's "A Child of the South in Long Black Robes," Julia Sagebien's "Carrying the Dharma en Español," and Alice Walker's "This Was Not an Area of Large Plantations." Other authors include Charles Johnson, Jan Willis, Larry Yang, and Eduardo Duran.